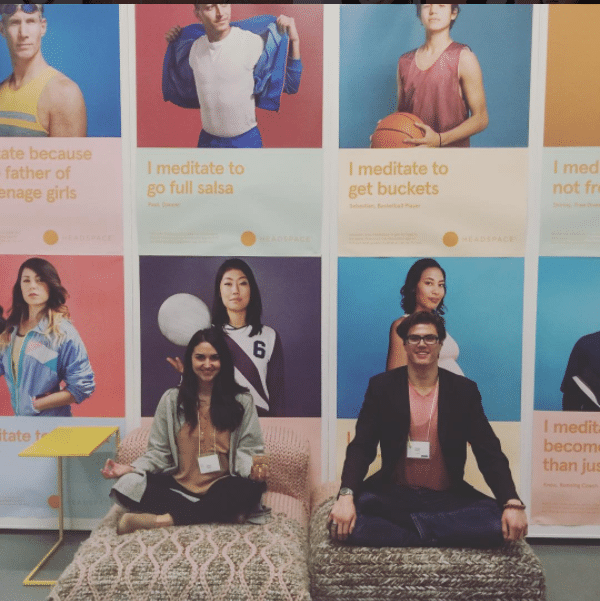 Here she is taking a little timeout for some Headspace at their headquarters in LA. It’s always great to connect with old friends. Charlie Brown has been a friend and client of Yulu PR’s since 2013 when we launched their charitable giving platform Charitweet. The company has since evolved into a mindful commerce platform that’s changing the fintech + philanthropy space. Thanks to Headspace for hosting a wonderful afterparty for all of us Heart Series attendees!